If there was a contribution to science to be made, then, certainly by now, a couple of chimpanzees named Hercules and Leo have made it. They've been numbed countless times by anesthesia. They've had wires inserted into their muscles. They've been deprived of anything even resembling their natural habitat, spending most of their lives in the steely-cold environment of a laboratory. Now, the world's best-known primatologist is pleading with scientists to give them something back. 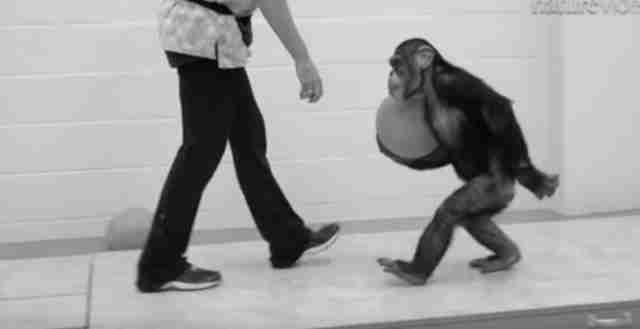 Like a real home where they can live out the rest of their lives as chimpanzees rather than test subjects. 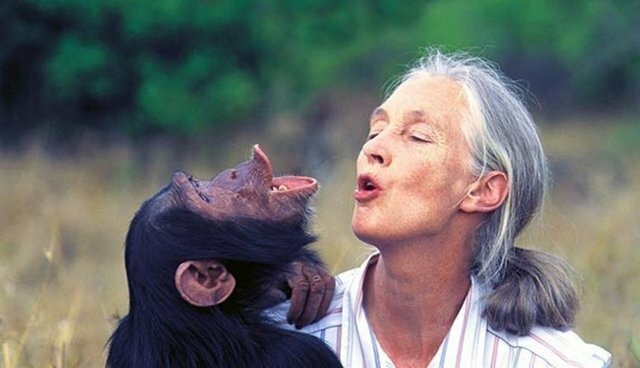 Jane Goodall, along with the Nonhuman Rights Project (NhRP), is lobbying to have the chimpanzees moved from their current home - a kind of warehouse at the University of Louisiana run by the New Iberia Research Center - to an animal sanctuary. "I have been following for some time now the sad lives of both Hercules and Leo, and I really urge New Iberia to release them to sanctuary so that they can live out the rest of their lives in dignity," Goodall said in a video statement sent to The Dodo. "And, surely, there can be no good reason to prolong their lives of servitude. So please, I beg of you, do the right thing." 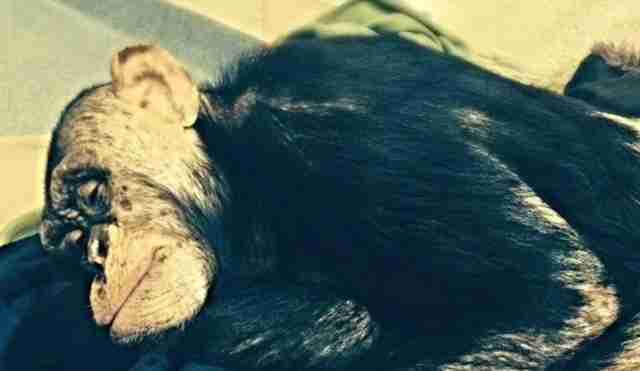 The chimpanzees, both nearly 10 years old, have been at the center of a protracted legal battle, spearheaded by NhRP, to have them released to Save the Chimps, a sprawling sanctuary in Fort Pierce, Florida, that's billed as the world's largest chimp refuge. Although a judge denied the group's bid to free the chimpanzees last year, it was considered a victory of sorts for animals. "The fact that the hearing occurred, that we were granted standing to sue on behalf of Hercules and Leo ... gave their plight the serious consideration it deserves," the organization noted in a press release issued on Thursday. It's a milestone, the group added, "in the fight for recognition of the legal rights of self-aware, autonomous nonhuman animals, [and] first and foremost their right to bodily liberty." 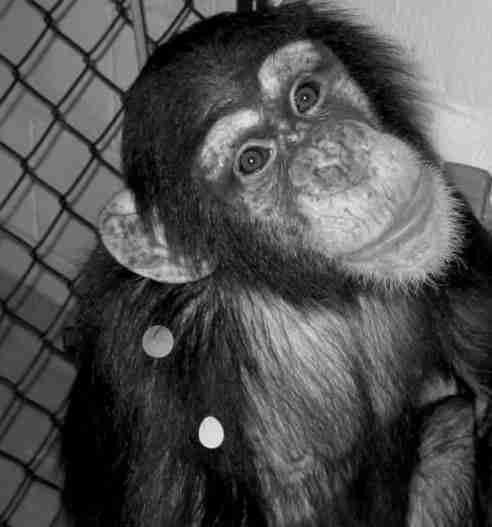 Now NhRP, along with Goodall, who serves as a board member, is pushing Hercules and Leo's plight into the public space through social media. The group hopes to rally people around the world under the hashtag #SaveHerculesandLeo. 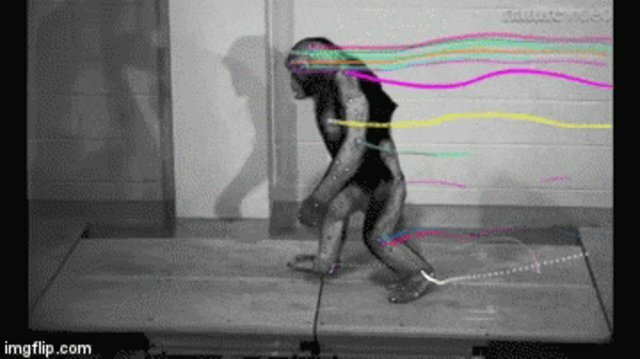 The chimpanzees' service to science included being studied to see how humans have evolved to walk upright. But some humans, it seems, still have a way to go on that evolutionary scale if they don't realize animals deserve better than to spend their lives behind concrete walls. Want to join the fight? Share this story along with #SaveHerculesandLeo and keep the pressure on the New Iberia Research Center to surrender these chimps to a sanctuary. For more information on the campaign to free Hercules and Leo, click here.